Your book is very ambitious; the tangled tales, the attention to detail, historical and otherwise; the realistic dialogue, and finally, the readability. I feel now as if I know these people, and as in every good novel, they continue to exist beyond the page. Congratulations! This is truly a major feat. — Faye Moskowitz, author of A Leak in the Heart, Whoever Finds This: I Love You, The Bridge Is Love, and Her Face in the Mirror: Jewish Women on Mothers and Daughters. 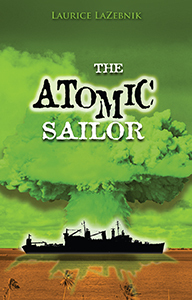 Buy Atomic Sailor now on Amazon! Available in print and Kindle versions.